I recently shared my experience of the 8 week "developmental leap", which all babies experience at around the same age. The post got tonnes of views and several readers got in touch, really keen to find out more about when to expect their children to go through a significant developmental leap, what to expect, and how they could make it easier for their babies. 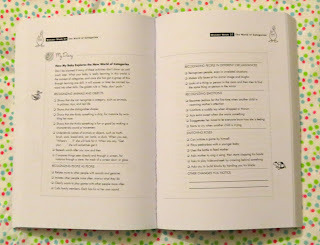 I've been reading and using the Wonder Weeks book by child behaviourists Hetty Van De Rijt and Frans X Plooij (name wins) as I'm a sucker for a proper, physical book - though the website and phone app are really useful too. The book is so insightful and goes in to great detail on each of the ten developmental leaps that absolutely every baby goes through. Each baby's experience of every developmental leap will differ, but thanks to the author's extensive research, we're now able to pinpoint when every baby will begin to embark upon a new leap, and can prepare. I found the book fascinating, it really opened up a whole new world for me in being able to understand exactly how and what Quinn was learning, and how her different senses were responding to her environment. For example, had I not read the Wonder Weeks book, I'd have been clueless as to why Quinn's sleep pattern suddenly went totally up the creek at 8 weeks, and might have put a lot of her behaviour down to her vaccinations. I wouldn't have realised how she was interacting with her toys either (it appears random and insignificant if you don't know what you're looking for!) and I certainly wouldn't have had as much confidence in her as I do now that I can understand exactly what skills she is mastering this week - it's such a source of reassurance, and also excitement! 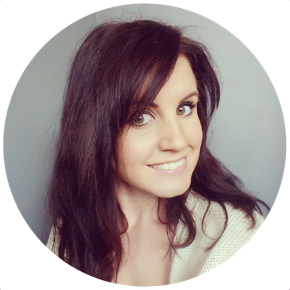 As well as heaps of information on what changes are underway at each developmental leap, and what new skills your baby is acquiring, there's also a lot of content concerning what changes in behaviour to expect, how these might make you feel as a parent, and how to help your baby to deal with the daunting period, as well as what to expect "on the other side", and what toys to invest in to encourage your baby's development, by appealing to the new skills she's just gained. 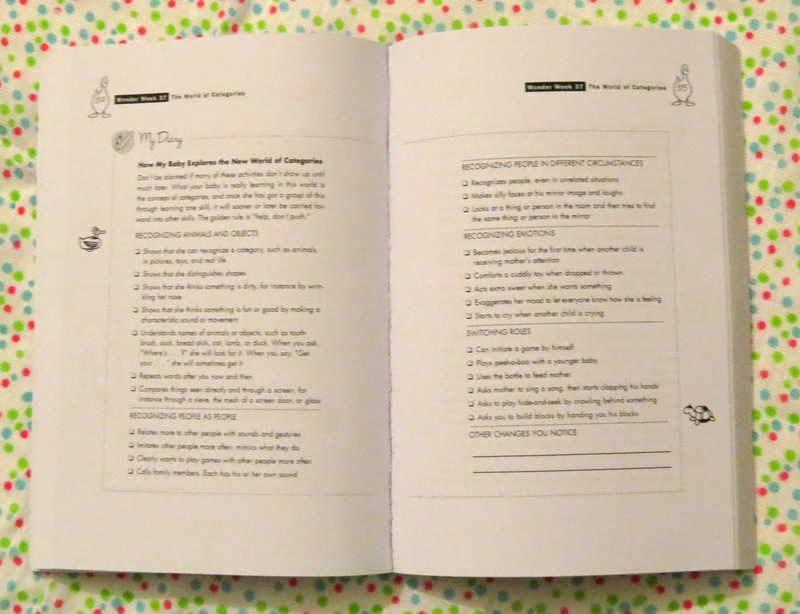 The book also contains really useful tick sheets, which allow you to record changes in your baby's behaviour as each leap approaches, as well as the different signs of development as your baby begins to express them. I found this really useful in recognising exactly what Quinn's interested in at the moment, and the way in which she most likes to interact with the world around her. I'm not a great one for reading parenting books because I don't like the idea of following a particular "method" of bringing up my children, however this isn't a parenting advice book, it's simply an exploration in to infant psychology and behaviour, and provides parents with some guidance on what a baby needs at their particular stage in development, which is more factual and evidence based than rising from any special school of thought. It doesn't matter whether you breastfeed or not, babywear or not, co-sleep or not - this book doesn't adopt a bias for any particular parenting approach, which is refreshing, and the information contained is relevant to absolutely anyone with a baby under 20 months. 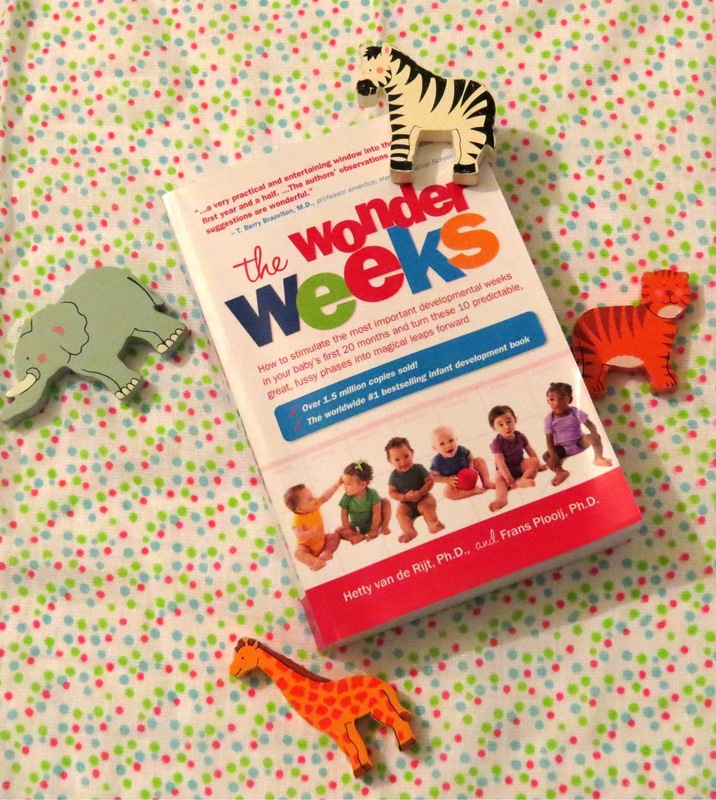 I was so impressed with Wonder Weeks, and I'm so happy recommending it to other new parents, that I have a new copy of Wonder Weeks in paperback to give away to one reader. This prize includes postage and packaging to any UK mainland address. Unfortunately whilst overseas readers are welcome to enter, they must be prepared to cover the cost of postage in the event that they win the competition. It's incredibly easy to enter, all you have to do is "like" Mother Hen Blog on Facebook. You can also gain a cool five bonus entries by following me on Twitter, and another five just by tweeting about the competition! Just use the Rafflecopter below to enter, you have until Friday 16th October, and the winner will be notified on Sunday 18th October.